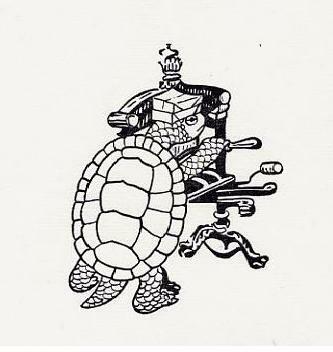 The Turtle Press of Vancouver, operating as a private, noncommercial press since 1987, celebrates the letterpress tradition by printing invitations, calling cards, chapbooks, and other ephemera for friends. It has assembled a collection of printing memorabilia, and its equipment, originally consisting of a Chandler & Price 10x15 platen press, has been augmented by an 1855 Albion, a Potter proof press, and a Midget Reliance, among others. It has hosted a Wayzgoose in Vancouver since 1995.